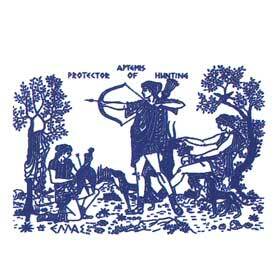 Silkscreen t-shirt of Artemis, the protector of hunting. Greek Mythology. 100% cotton.